Photo: Three time champion Mike Hughett. 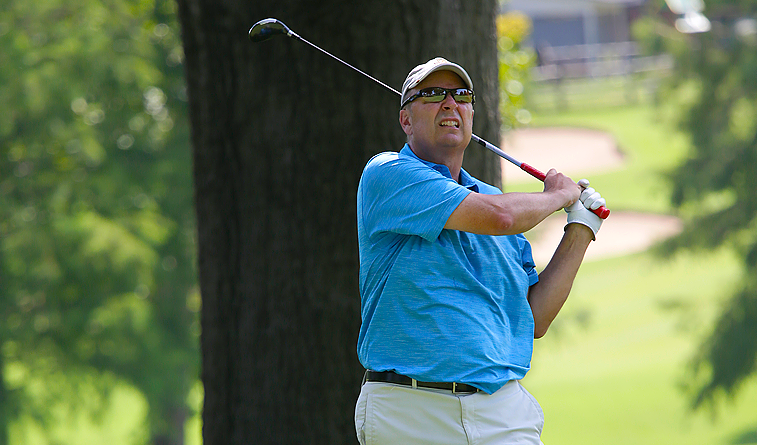 Don Clark of Shawnee shot even-par 70 to lead the qualifying for the OGA Senior State Amateur Championship on the East Course at Oak Tree National Monday. Match play begins Tuesday, with two matches Tuesday and Wednesday and the 18-hole championship match at 8 a.m. Thursday. Defending champion Kirk Wright was one of three players tied for second at 72, while three-time champion Mike Hughett shot 75. Mike Stansbury, who won the 2014 event, shot 77. Wright won in 2013 and 2016 while Hughett prevailed in 2011, 2012 and 2015.